After you received the order, we kindly ask you to check whether the content of the package matches your order. If this is not the case, please contact: support@kayme.com If a product doesn’t meet your expectations, you may return it at your own expense within 14 days. Undergarments must for hygienic reasons be returned unworn and in their unopened, original packing with the label and price tag attached. If not, they cannot be returned. Gift wrapping and laundry bags can also not be returned. Unfortunately we are unable to exchange products at the moment. How do I return a product to the returns department? A return form is sent with your package. Please fill in the return form and add it to the package together with the copy of the invoice. First, request a product return from your customer dashboard ‘Product Returns’. Then ship your item back to us, following the instructions on the returns form included in your shipment. Can I also return my order in a kay me store directly? Yes, if (one of) the item(s) do(es) not fit properly, you can also return the order at one of the kay me stores*. How long will it take before I receive my money back? *If a returned product doesn’t meet the above mentioned standards, the kay me webshop may refuse the returned product. 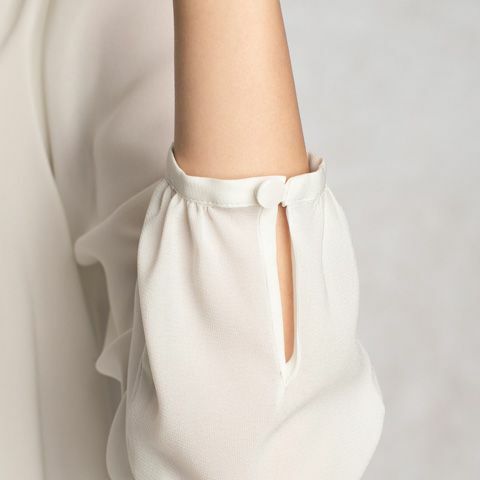 Our charming washable chiffon top is now available with bracelet-length sleeves. Style the double layers tucked in or left out as you like. The warm jersey inner contrast beautifully with the light and airy chiffon outer layer, both of which are soft, stretchy and machine washable. 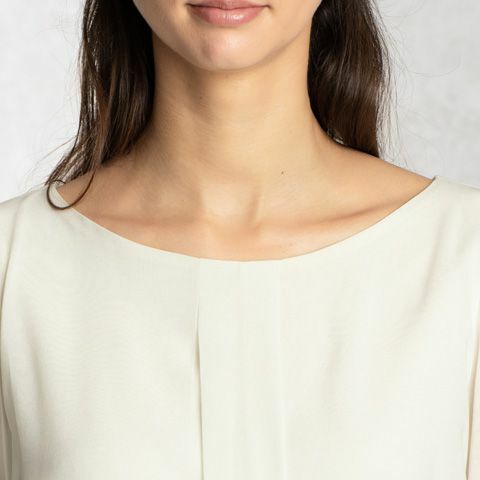 Show off your neckline with the soft scoop of this top. Expertly handmade in Tokyo by our specialist team of skilled artisans. 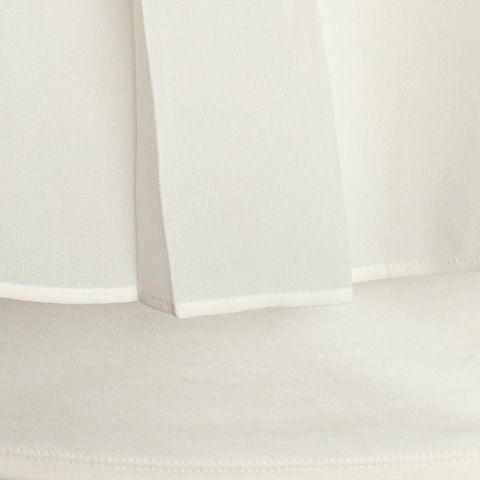 Sheer sleeves are feminine and elegant, with pretty cuffs that are easy to button up and undo. Wear tucked in or left out for different looks.